Kim Hollis: Captain America: Civil War earned $179.1 million this weekend - twice as much as the previous Captain America film, though almost $10 million behind Avengers: Age of Ultron. It has also already earned almost $500 million internationally. What do you think of this result? Jason Barney: I think we can put the term "superhero fatigue" on the shelf for a little while. This opening just reminds everyone just how massive the Marvel Universe is as far as money making potential. I can't help do this analysis without tying it to Batman v Superman. I think discussing Captain America 3 in terms of the other Marvel films is fine, but we are talking about a class of their own. The Iron Man films, Captain America, Avengers, Guardians of the Galaxy...look what they have accomplished. Then examine the DC Comics universe. Especially the recent body of work. There just isn't even ANY comparison. 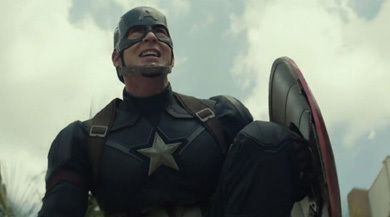 To make the point....Captain America: Civil War has made $670 million globally in about two weeks of release. Batman vs Superman doesn't even look like it is going to be able to limp to $900 million total. Ouch. I'm not going to go too far out on a limb with predictions for how far Captain America can go...but at this point, with this sort of buzz around this film, it is entirely possible it surpasses $1 billion globally by some time next week. On its own this is a fantastic opening....$179 million is HUGE, especially when compared to the other Captain America films.